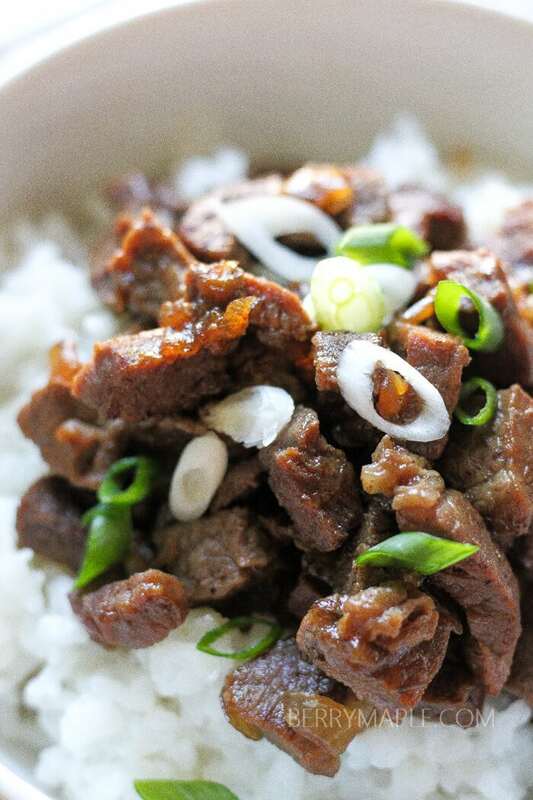 Tender, juicy and just so delicious- try this caramelized sweet beef over rice or just as is! 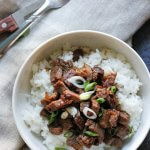 I was so excited to try this recipe , especially after i got a lot of attention for my sweet caramelized pork with rice recipe last week! So, when you choose beef over the pork, you need to keep in mind that its important what kind of cut you choose. Beef is a bit harder to work with but if you choose tender cuts or really thin steaks you should be fine. 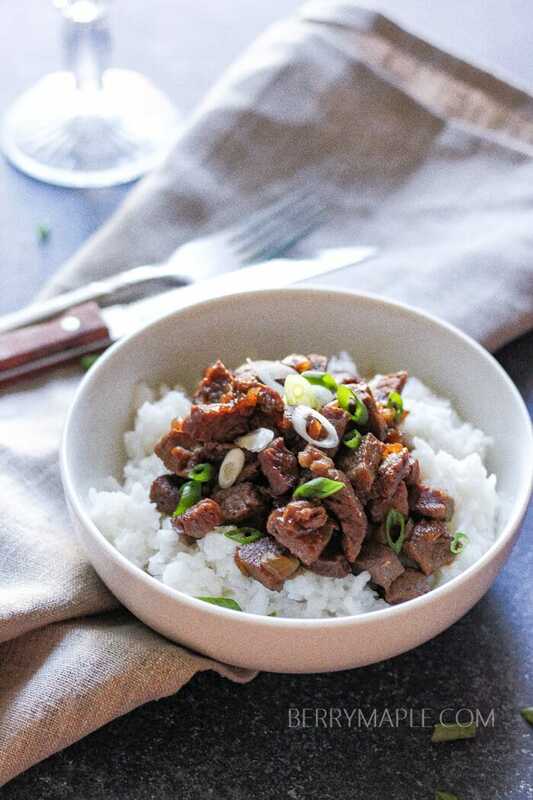 Since its a skillet dish, we will cook it just for about 40 minutes, please cut you steak in to small pieces:) If you prefer a set ad forget cooking style- slow cooker caramelized sweet beef recipe is coming soon too! Heat the oil in a large skillet over medium high heat. Add onion and beef and cook for about 5 minutes, stirring, until browned on all sides. Add water, sugar,soy sauce and fish sauce, stir and cook over medium low, covered for about 30 minutes, then uncovered for another 10-15 until thick sauce forms. Don't burn! I love meals like this! I’m going to have to make this soon! I sure do love dinners that can be cooked in a skillet! 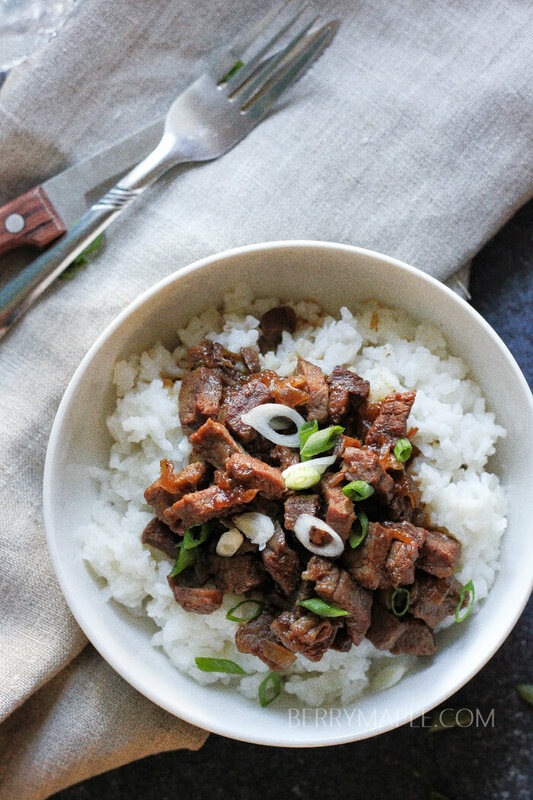 This looks super tasty, my family would love it. I am excited to try this. It sounds so delicious! This would make an awesome kid-friendly dinner.